This week, #1 bestselling author James Patterson and Little, Brown and Company are donating 200,000 copies of hardcover Patterson titles to the United States Armed Forces. The donation will include copies of Tick Tock, Private, The Postcard Killers, I, Alex Cross, Swimsuit, The 9th Judgment, Run for Your Life, Cross Country, Sail, and The Quickie. 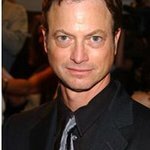 The books will be distributed via Operation Gratitude with the help of George Scott of Books for Heroes and the Peerless Book Store of Alpharetta, Georgia, as well as a number of military support organizations via Feed the Children. These books will go to members of the United States Armed Forces via care packages sent to various soldiers in the United States and Afghanistan, and in direct donations to various military outreach programs. The logistic of shipping thousands of books and getting them into the hands of our servicemen and women would not have been possible with the help of Rodent of Transource, Alex Walker, Rich Hernandez, and Mike Myers and Erin Carlstrom of Feed The Children. 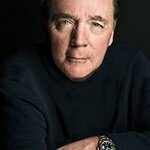 This donation is made in addition to the thousands of books James Patterson has sent over the past several years to military personnel in Iraq and Afghanistan, as well as to VA hospitals around the world. In addition, James Patterson makes yearly donations of books to troops overseas via the USO.